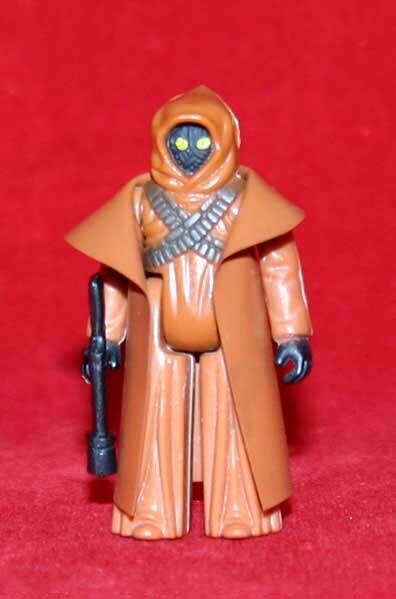 The prototype Jawa shown above is classified as a first shot. The figure is devoid of any copyright or country of origin markings. 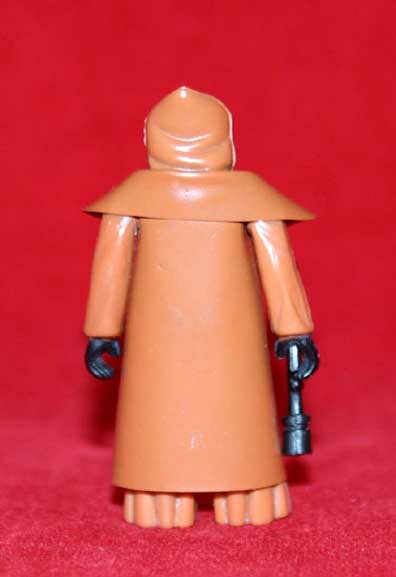 Although Kenner altered the cape style of the Jawa after production was well underway, the figure itself remained unchanged. In light of that fact, it makes sense to see the vinyl cape presence on a first shot like this. The second photo affords a glimpse of the figure from the rear. First shots for the original twelve Star Wars action figures are quite popular since they offer collectors the opportunity to add an early piece of Kenner Star Wars history to their collections.